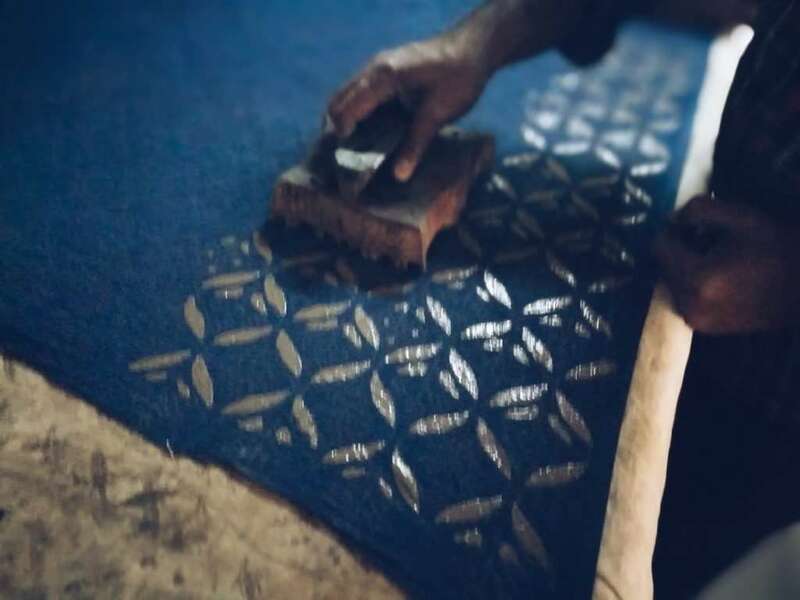 Last week, my lovely mate Alice Aitken grabbed my attention with her Indigo block printing adventures in Rajasthan. 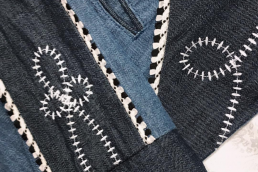 She has a contemporary kids brand called Om Baby that’s all handmade in England and uses block print fabrics sourced in India and the surrounding areas. Alice has been obsessed with India since 2007 when she first visited and has been back more times than I can count. “The textiles and colour here bring me back again and again, and of course, the people! 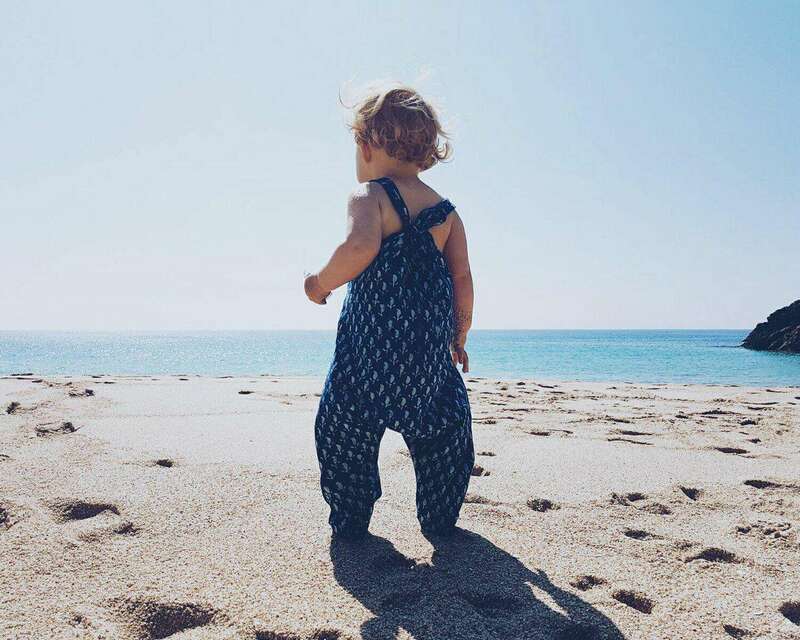 Alice started Om Baby after buying her daughter Edie some harems on her final trip to India before giving birth, and the inspiration for the brand was born along with Edie. Block print has always been a part of the concept and she has been coming to India for the block prints since 2014. She learnt about the village and work of Akola through a fabric shop owner in Udaipur. He spoke very highly of the family’s work and the quality of the fabric. She also works with block printers in Bagru , outside Jaipur. 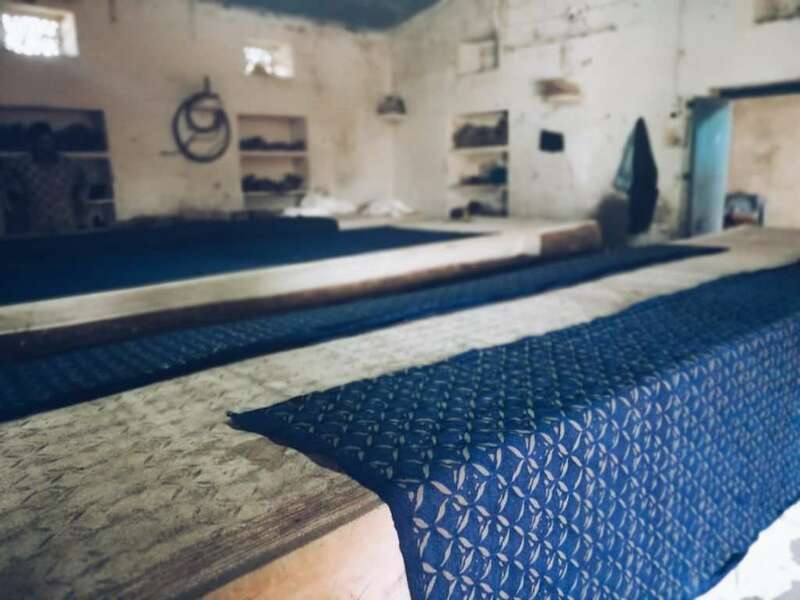 Always inspired by global indigo textiles, especially on a small-scale using traditional craft, I asked Alice to share some photos and information on what she knows. I hope you find it as beautiful and interesting as I do! Akola is a small village about 70km from Udaipur in Rajasthan . 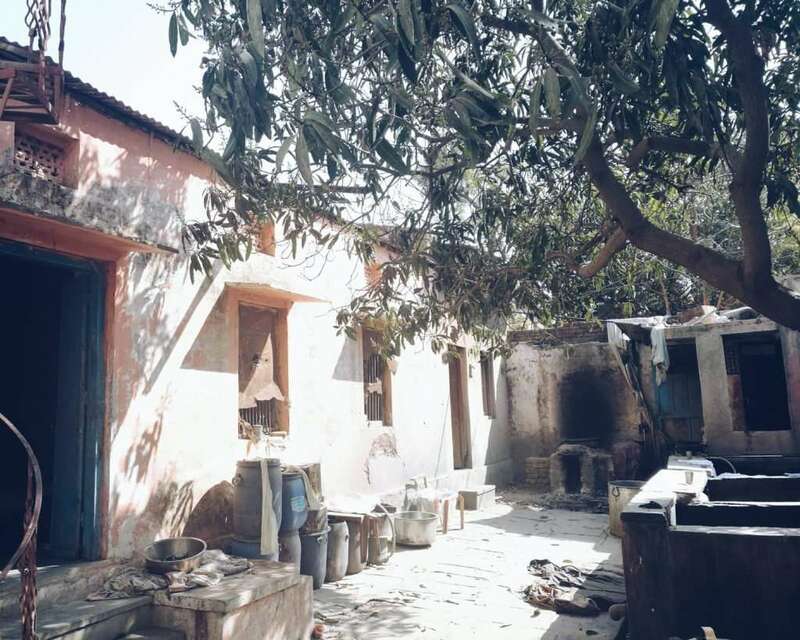 It is home to a few families that for generations have been block printing and indigo dying. 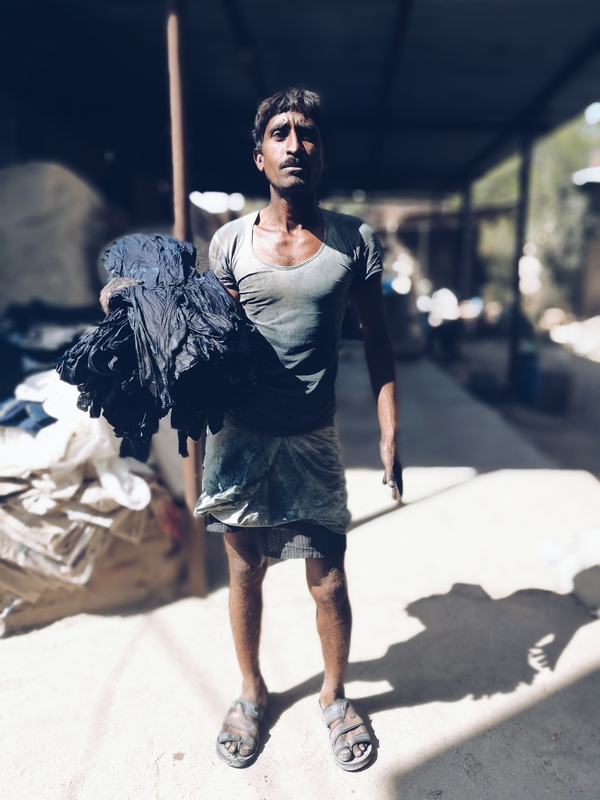 They no longer use organic indigo from the leaves, as this is very very rare to find these days in India as it is a very long process with a tiny yield. 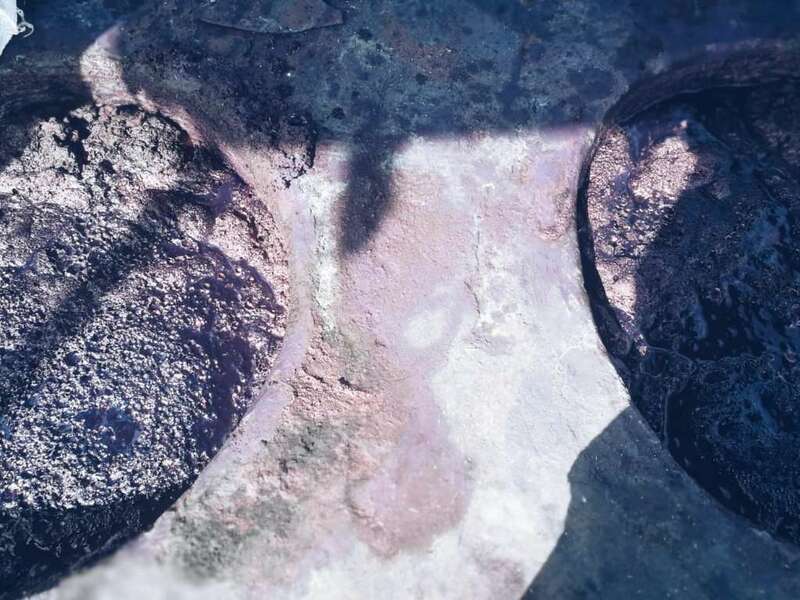 Instead they use non-toxic block indigo that you are used to hearing about and they dye in indigo pits. 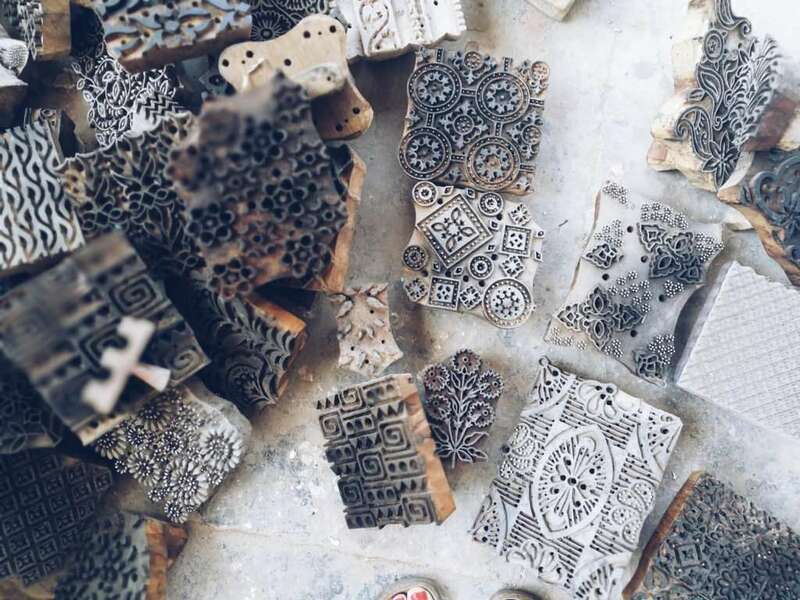 The blockprinting technique is called Dabu printing. 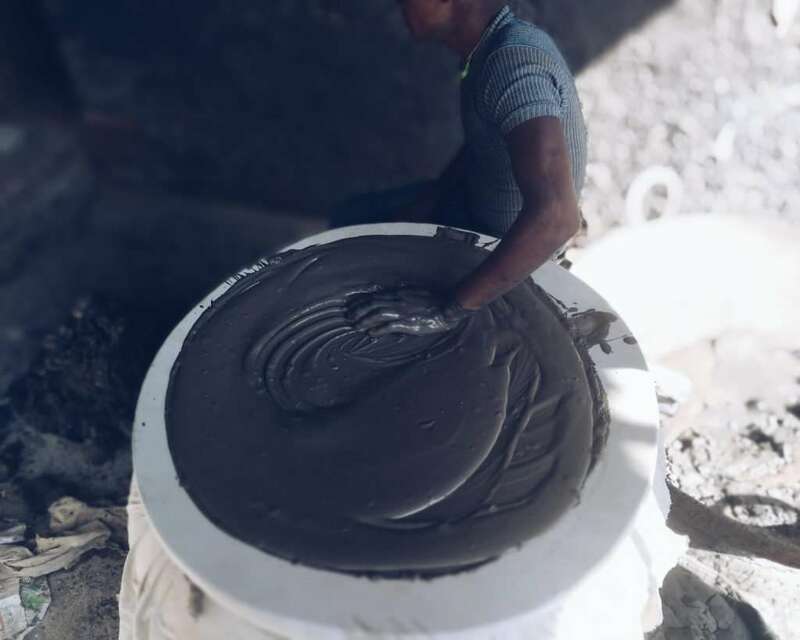 This is a mud resist print technique where a paste is made using mud, lime, wheat power and tree gum, its then rubbed though gauze material to make a smooth paste. This is then printed onto the white fabric using the blocks and sawdust is added after to harden. This is dried and then dipped into the indigo pits and laid out (in the most picturesque fashion) to get sun to fix and also dry the fabric. 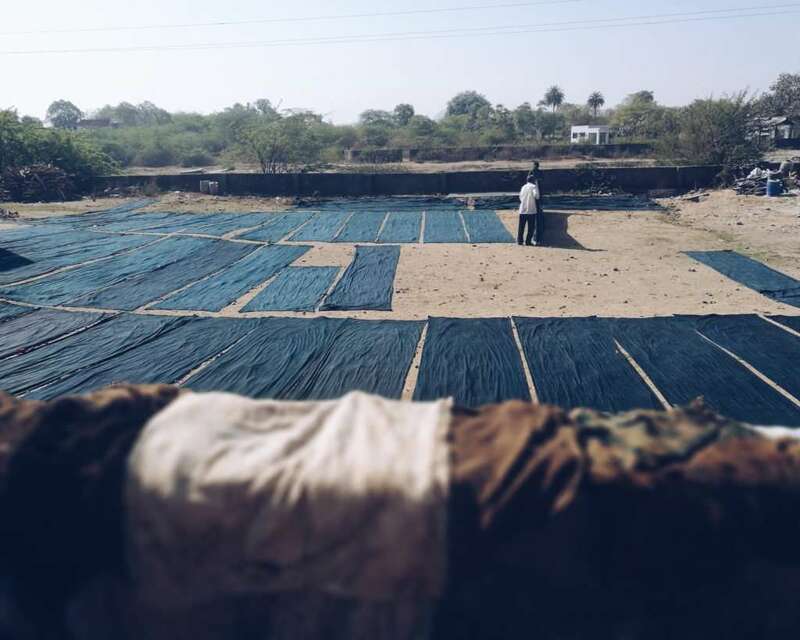 The drying fields are covered in sand to create an even colouration, as any rocks would absorb more of the suns heat and therefore change the colour of the cloth, making it uneven. 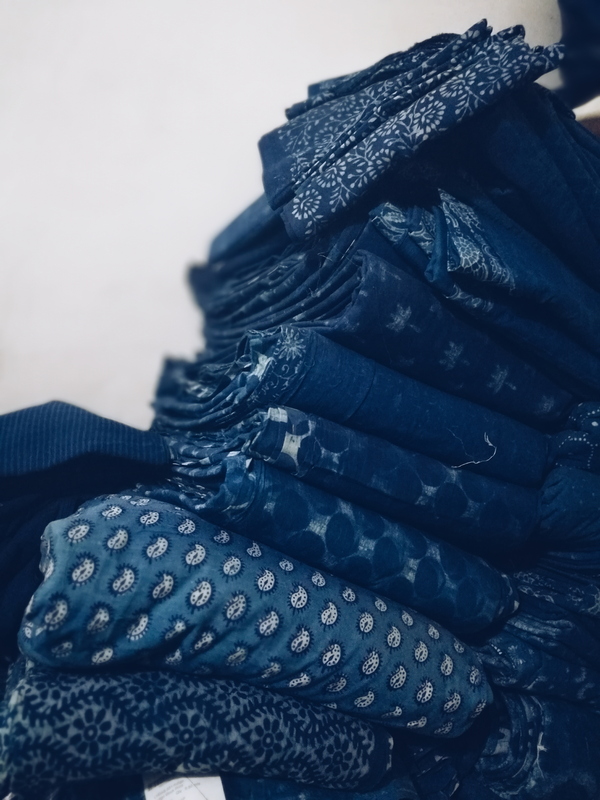 Some fabrics are then block printed again to create layers of indigo print, some are double, triple dipped for darker colour. The washing and bashing process is also important. It is washed with the dried Dahura flower as this is a natural dye fixer and the bashing makes sure all the dabu paste is removed and bashing not scrubbing makes sure the weave of the material is not effected. Alice visits the village as regularly as she is able, in order to learn and share this incredible art form as it is unfortunately dying out. Alice will use this fabric in all her upcoming shapes- Omsies ( jumpsuit) dresses, rompers, wrap tops, shorts and bloomers. Thanks Alice for your beautiful images and insight into this special village, talented craftspeople and stunning textiles! go follow her travels on her instagram feed.